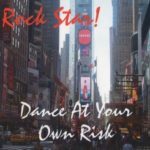 See Dance at Your Own Risk LIVE in Concert! - Achieve Services, Inc.
Achieve’s music group Dance at Your Own Risk will be having another LIVE concert event on Friday, March 24th at 12:00pm at Lyric Arts in Anoka. All are welcome and there is NO COST to attend! The musicians that make up Dance at Your Own Risk have released four albums to date and are on track to release a fifth album by the end of 2017. The music is available as CDs sold at Achieve Services or as digital downloads on iTunes, Amazon, and other major online music distributors. All proceeds from the sales of music go to the artists. For questions or inquiries, please contact Alex Carlson or call (763) 717-7801.